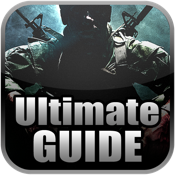 This guide is Call of Duty:Black Ops game guide that lets you explore areas of the game in a convenient and easy to use mobile application. Call of Duty:Black Ops Cheats guide is not authorized or endorsed by Activision or Treyarch in any way. All images game content are copyright to their respective owners and their use falls under fair use guidelines. The value of this application lies in the ordering and sorting of information to help you better enjoy your game.